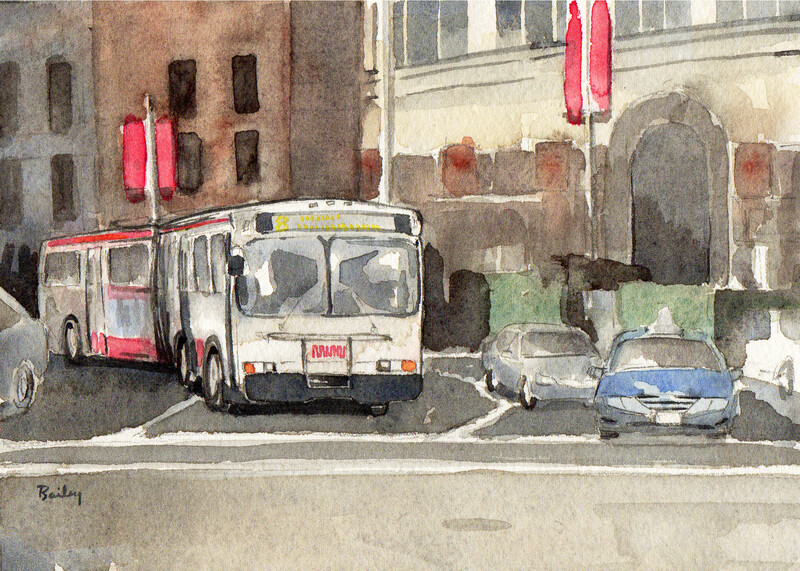 This entry was posted in Watercolor and tagged Art, California, City Life, Creativity, Market Street, San Francisco, Watercolor by theartofbrian. Bookmark the permalink. gosh I love your work – delightful detail! The red! That color just pulls me right in and I really like how you defined the reflections in those huge front windows of the first bus!